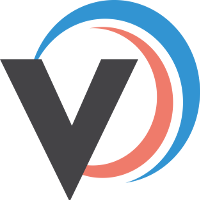 Once you're all setup, open your Android device on the Veeqo app and use the hamburger menu in the top left corner to select 'Stock take' from the menu. The screen will be split between a camera view and the products to count in the selected warehouse. To hide the camera view and just show the products, select the 'Hide' button in the top right corner. To change which warehouse to the one you're currently in, select from the warehouse location tabs in just below the camera view. Each product is displayed in the stock take with it's name, product image, sub-location, expected stock amount and the allocated stock amount. 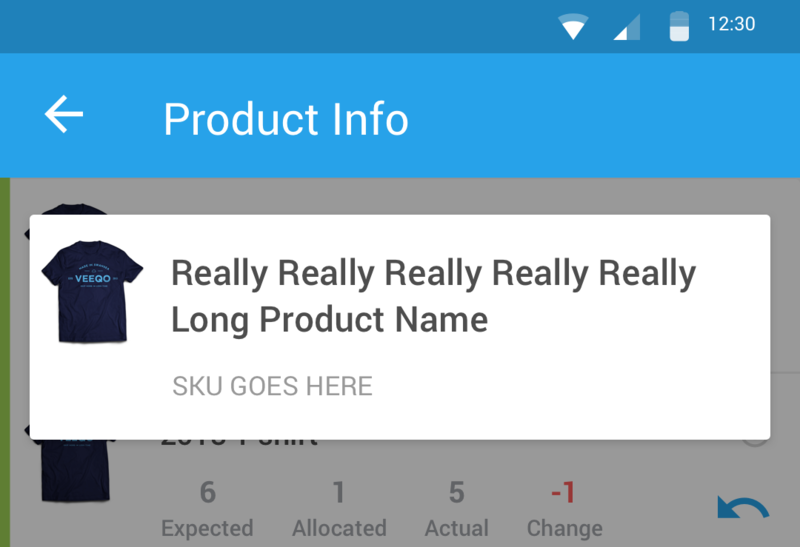 If a product's name is too long and cut off, select the 'Info' icon next to the product and this will open a popup with the product's full name and basic information. If the expected number is different to the number of products you've counted, you can adjust the amount using the +/- or by changing the number in the centre. Once you've got the right amount, select 'Save' on the right of the product and it will be updated. 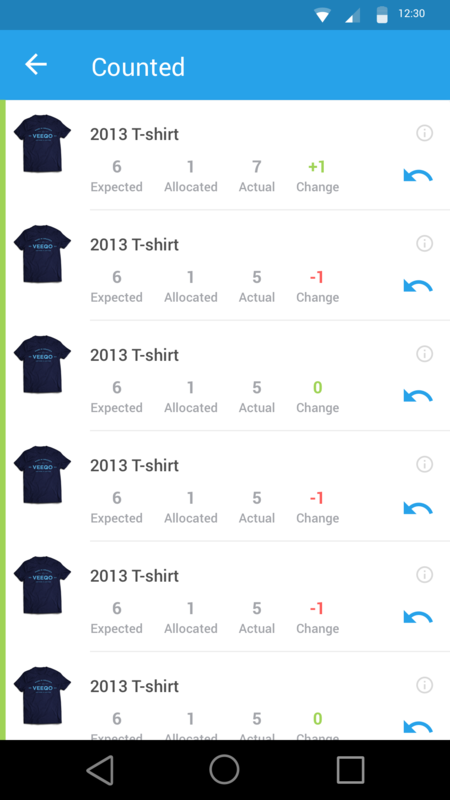 If the expected number has stayed the same, select the 'Save' button to log the product as counted. Once you count products and save them, they'll be moved to the counted section and the number / percentage of products counted will go up. To view your counted products, select the 'View' button next to the number of products that have been counted. 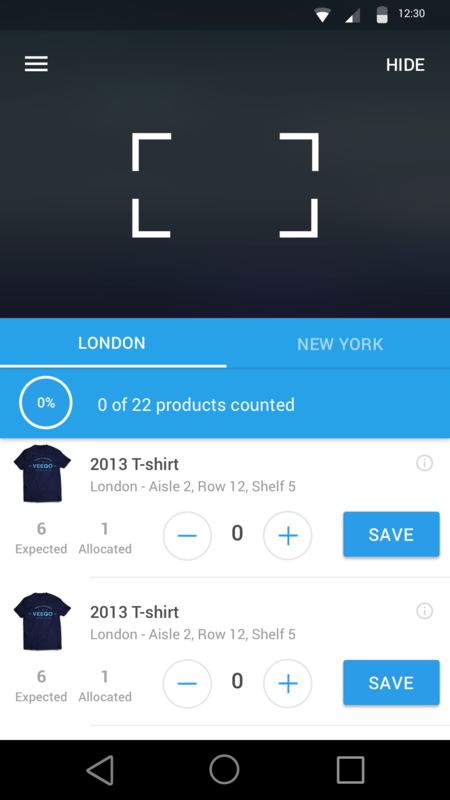 The counted screen will show you each product's name and image along with the expected, allocated amounts. The 'actual' amount will be the number you've just saved and the 'change' amount is the difference between the 'expected' and 'actual' amounts. If a product has been miscounted, select the 'Undo' button on the right and this will move the product back to the section left to be counted. When all your products have been successfully counted, you'll be shown a confirmation message and all your stock will now be updated.